City centre businesses are being encouraged to sign up for Aberdeen’s second restaurant week. The event had its inaugural outing in February, with unique menus and special prices laid on by a range of venues in order to entice visitors through the doors during a traditionally quiet period. 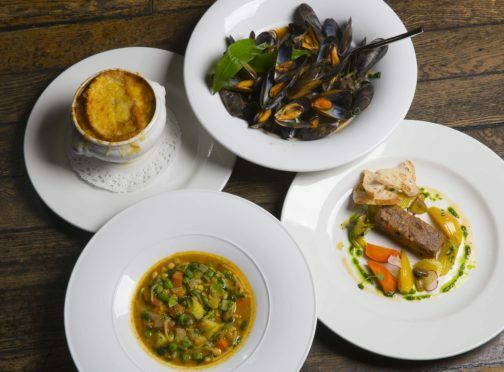 Following its success, restaurant week will return to the city from Monday, September 3 with two-course lunches for £10 and three-course dinners for £20. Nicola Johnston, evening and night time economy manager with restaurant week organiser Aberdeen Inspired, said: “Aberdeen’s restaurant offering is incredibly diverse, it boasts some of the country’s best chefs, as well as award-winning bars and eateries. “The extremely successful Aberdeen Restaurant Week is there to shine a spotlight on these businesses, to help promote and offer an incentive for residents and tourists to explore restaurants they may have never visited before. Paul Mair, the owner of Windmill Brae restaurant Cafe Boheme, said: “We were fully booked after announcing we were part of February’s Aberdeen Restaurant Week so we are excited to be involved again in September.